I did it! But with some American mistakes. This Saturday, I did something I had not been able to pull off yet here in Argentina. 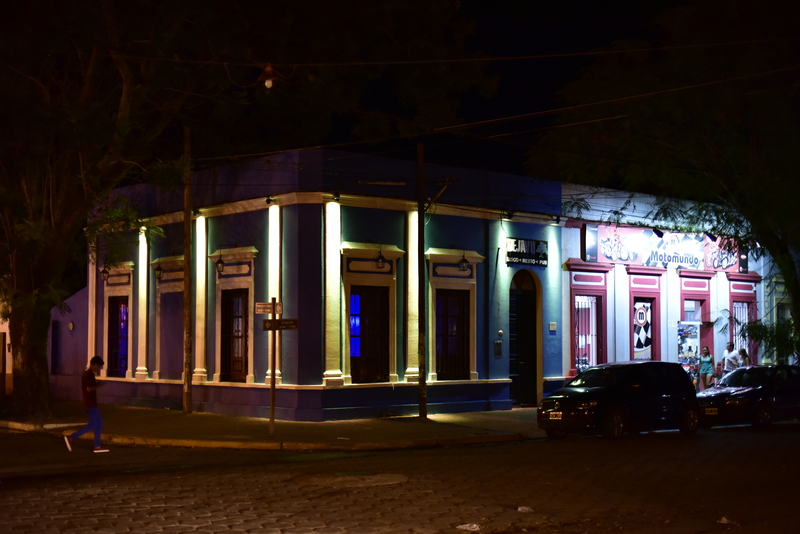 I stayed out late like an Argentinian–but added some definitely different elements. T and I hosted a wing night–where we introduce our Paraguayan and Argentinian friends to the joy of barbeque chicken wings and watch them squirm when they try buffalo sauce. Apparently wings are the cheapest of the cheap food down here–only the poorest people eat them–so it was an odd invitation to say the least when we invited them over for a whole meal composed just of that! However, they were all mighty impressed. American mistake number one: feeding the guests peasant food. 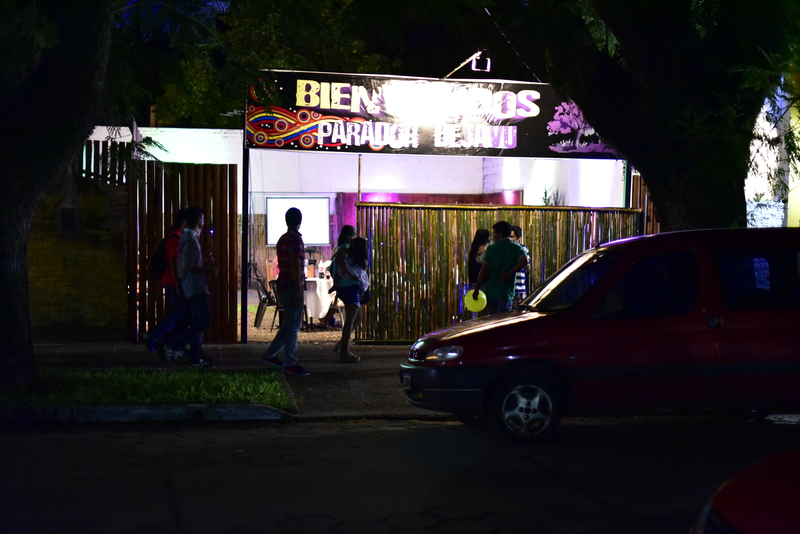 In the past, T and I would be ready for bed at 1am and the South Americans would leave our house and head to the club. This time, T was still pooped, but I still had some energy left and decided to tag along. Since I don’t drive stick (which is the only option for cars down here), and I wanted the freedom to come back to the house if I got tired, I decided to take my bike. Once I arrived at the bar (Deja Vu–which appears in a few pictures in previous posts), I got a few funny looks for riding to the bar on my bike. My friends quickly told the bouncer, “She’s American,” which I guess appeased him. Apparently only the poorest of the poor ride their bikes around willingly. American mistake number two: riding the peasant transportation to a fancy night out. 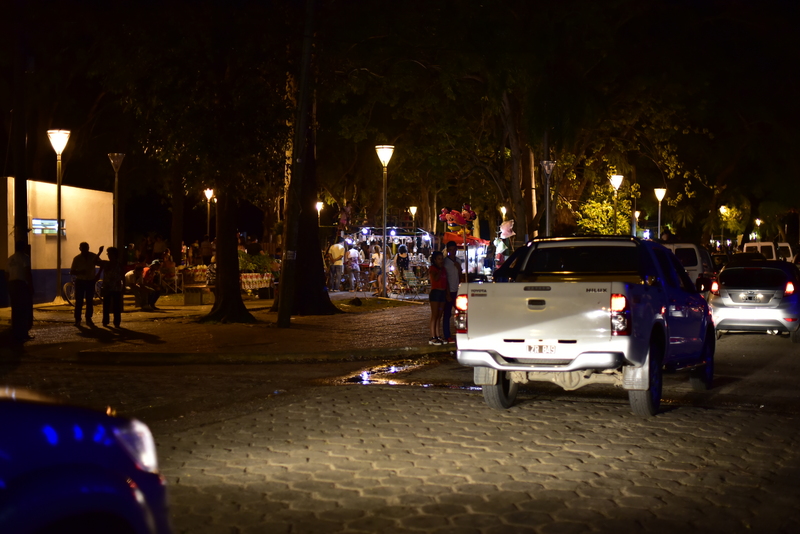 After a bit at the bar, we decided to cruise around town and see what else was going on. Around 3am, we ended up at the gas station (which is surprisngly nice and serves good food). While everyone else continued to drink screwdrivers (with vodka and OJ bought in the gas station, which also has a full wine section), I made the mistake of ordering just seltzer water. Hydration, inexplicably, just isn’t a thing that happens. They actually ended up asking 1) whether T had imposed a curfew on me and 2) whether T required that I come home completely sober. I (obviously) was a bit flabbergasted that that was even an option. No, T does not dictate my curfew or my consumption of any liquid alcoholic or otherwise. American mistake numbers three and four: Ordering water in the middle of the party night, and not having my husband issue a curfew. By 4:30am, we were back at Deja Vu, and by 5am I decided to call it a night. Despite some protestations from the rest of the crew, I convinced them that I was lucky just to be awake right now and that my warm, fluffy bed was calling to me. The crowd tried to convince me to stay out with them the “whole night” until 9am, when apparently the bar serves empanadas and croissants. I calmly told them that I can make my own darn breakfast at home after a few hours of sleep, and that no empanada or croissant is good enough to warrant four more hours in a pair of heels when I’m dead tired. American mistake five: Not staying out until breakfast is served the next day. I grabbed my bike, and apparently confused them again. “But you’ll be riding back alone!” I rode here alone–and I do it all the time! “Are you sure you don’t want us to follow you with our car?” It’s 5am–the only thing out right now is you people downtown and about 25 assorted cats and dogs. I relented by saying I’d text as soon as I got back to my house. Needless to say, in my five minute bike ride back, I encountered no people, no cars, no motorcycles, and about five cats and dogs. American mistake six: Riding the peasant transportation back home alone. Was it fun? Sure! Would I do it again? Definitely! Will it be my new weekend “thing to do”? Um, no. I don’t have that kind of stamina. 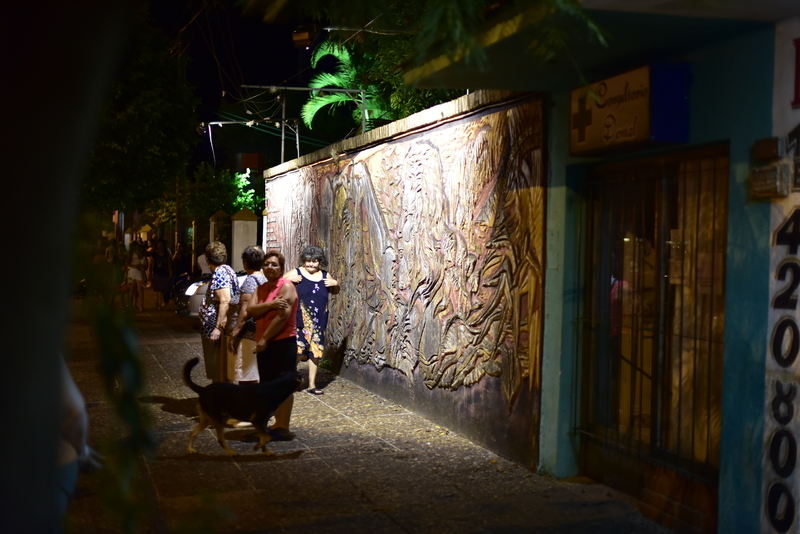 We spent a few days in Buenos Aires in February to renew our visas…and I’m just now getting around to posting some of our pictures and information! Since we’re only temporary residents, we need to take the annual trek to Inmigraciones to have Argentinian officials okay us for another year. Blessedly, between a combination of incredibly diligent fixers and the fact that we’re just renewing, the process was quick, easy, and painless. We brought our new coworker (also American) with us to Buenos Aires this time so he could get his paperwork started. It was a nice change to be able to share all of our knowledge about Buenos Aires and Argentina in general with someone else. 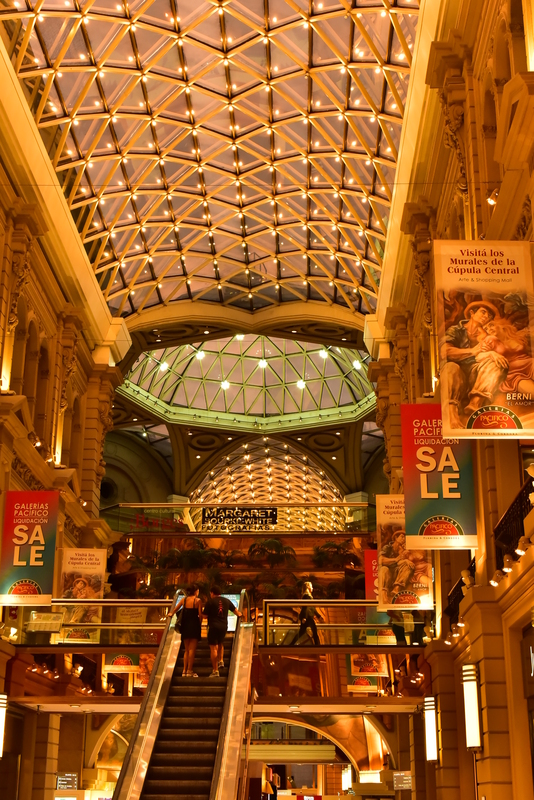 Since we had meetings during the day, we stole away once in a while to do some sightseeing close to the hotel.We were right on Avenida Florida, the main shopping thoroughfare, so we did a little bit of window shopping while we hunted down some of the more “exotic for Argentina” cuisine. Because we’ve been working so much since the BsAs trip and doing absolutely nothing interesting as a result, I’m going to split up my posts a little bit. T took a LOT of great photos, and I don’t want to just throw them all in one post. 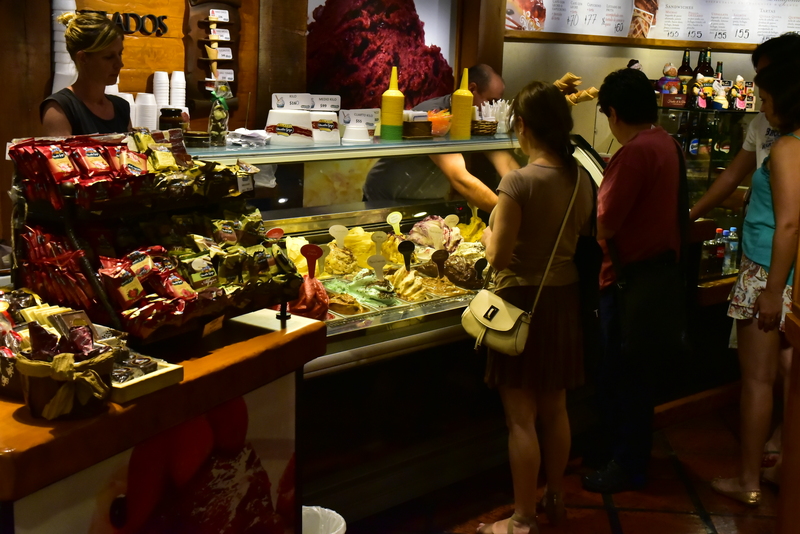 So here, in a nutshell, are the places we’ve eaten (and enjoyed) in Buenos Aires. California Burrito–What do you get when American expats really miss Chipotle? California Burrito. Okay, so it’s not exactly the same thing–but it’s close enough to get our mouths watering. Burritos and quesdillas are on the menu here, with some guacamole and tortilla chips. We make it a tradition to always go here the first night. Feels so much like home. 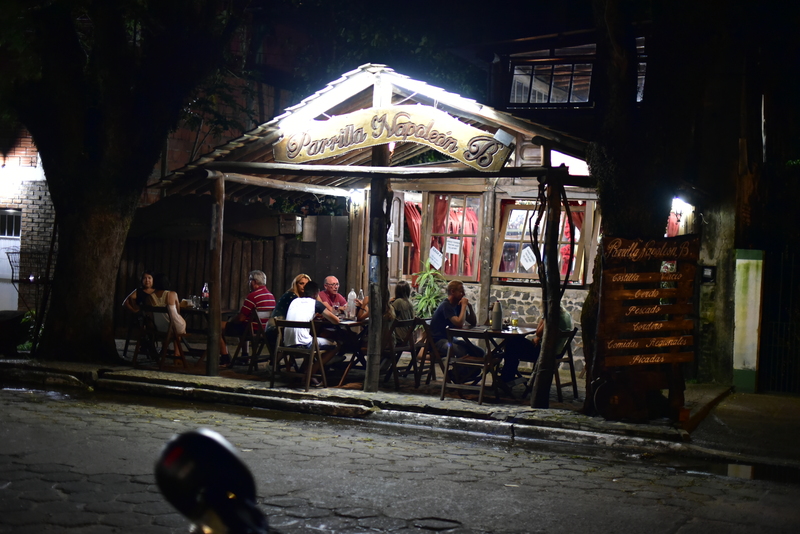 Filo–Nice Italian food in a very nice atmosphere. (Although watch out for the manikin as you walk in… she can be a little handsy when you walk into her.) Good pizzas, good pastas, and a nice mix of casual and nice. They’ll always have the futbol match on the TV, and I hear the place can get a little loud at the “normal Argentinian eating time” (ie, 10pm). We’ve always eaten either lunch or “American” dinner (8pm), so that’s never been a problem for us. 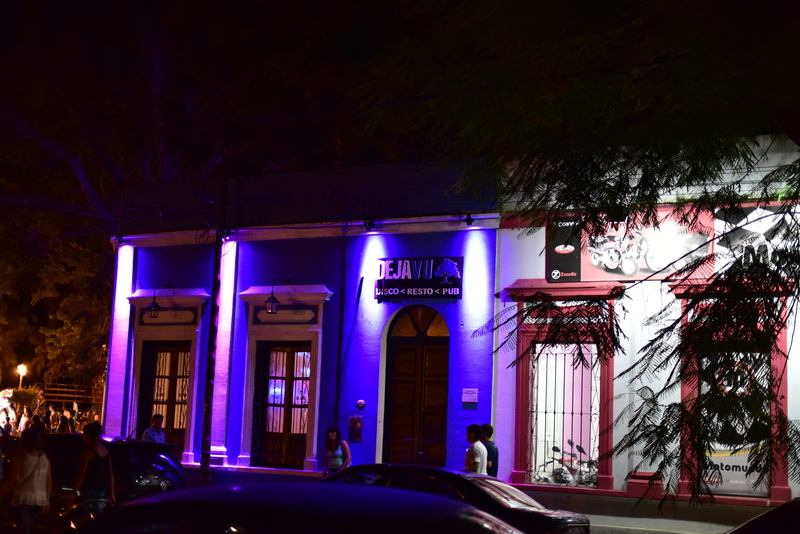 Magdalena’s Pantry–Located in the hip neighborhood of Palermo Hollywood, we found this restaurant by searching for where all the expats hang out in BsAs. 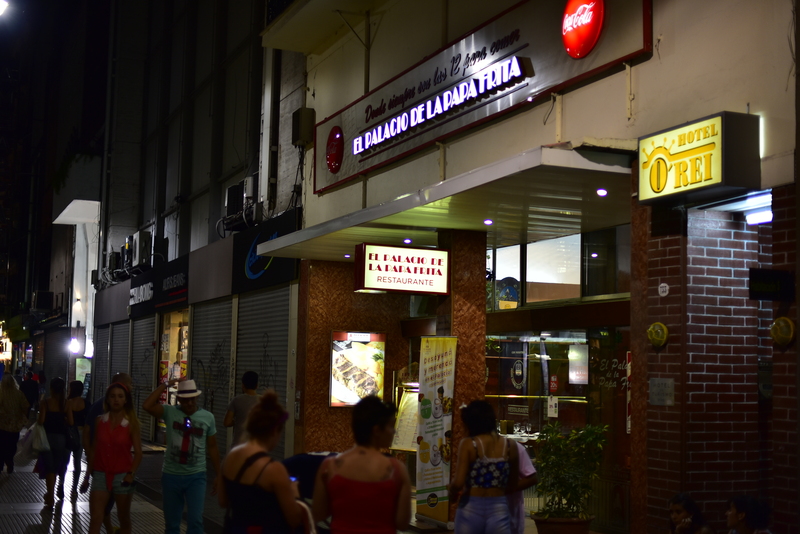 Palacio de la Papa Frita— With a name that literally translates into French Fry Palace, you know this place has to be fun! Surprisingly formal for a place whose claim to fame is endless plates of delicious homemade french fries, we enjoyed our steak here (that can be cut with a spoon!) and obviously several plates of papas fritas. Word to the wise–the portions are huge! It’s definitely possible to cut costs by splitting a meal. 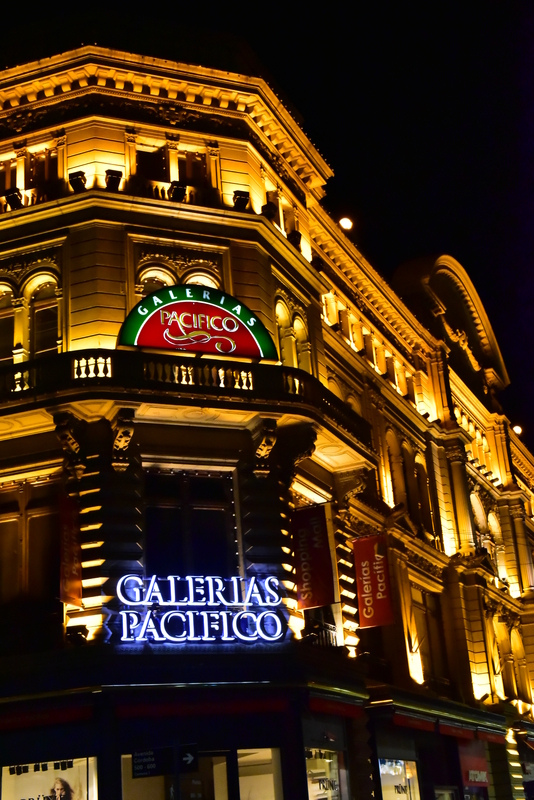 If we’re going to be honest, though, we often grab some food in the food court of Galerias Pacificos on Florida. 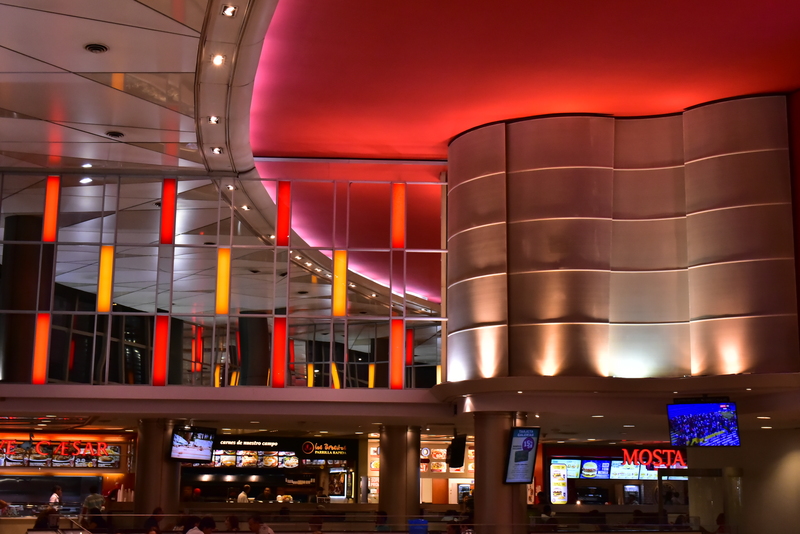 A mall food court doesn’t sound exciting–but we’ve always enjoyed the options here. For the homesick foreigner, there’s a Subway that smells just like home (whether that’s a good or bad thing, that’s your call)–and it looks like a KFC will be opening up in there soon! We’ve tried the salad place (that actually does some very nice hot dishes too), the burger place (mediocre at best), and the Chinese place (passable, but nothing to write home about). We’ve enjoyed the speedy WiFi and plenty of seating in an air conditioned area while we plot our next moves for the day. 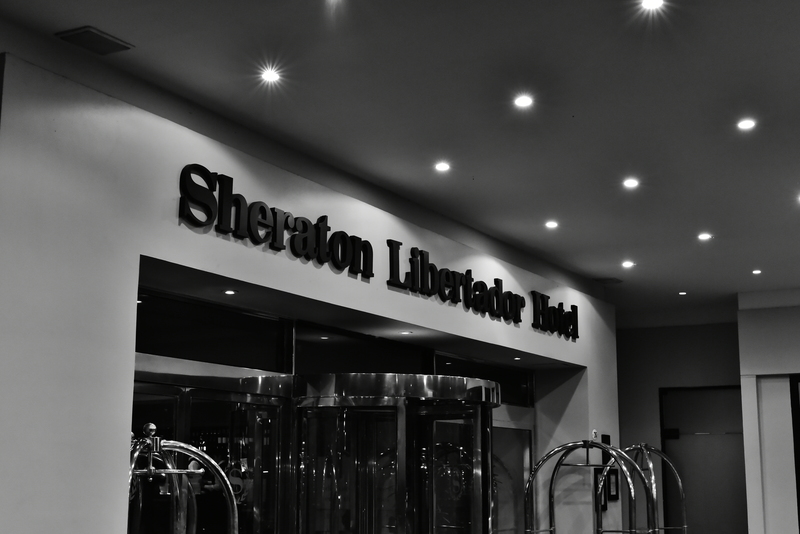 As always, we stayed in a Sheraton hotel–the Sheraton Libertador. 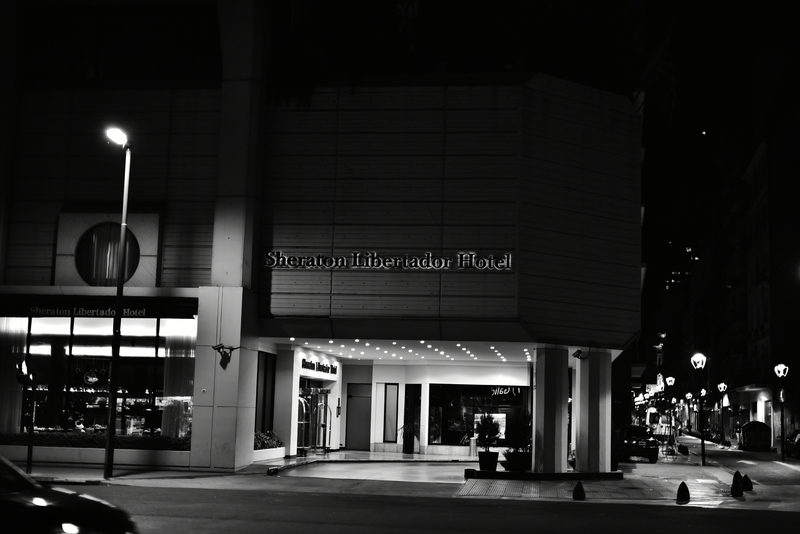 If you’re looking for an American-style hotel in Buenos Aires, I would highly recommend either Sheraton property. 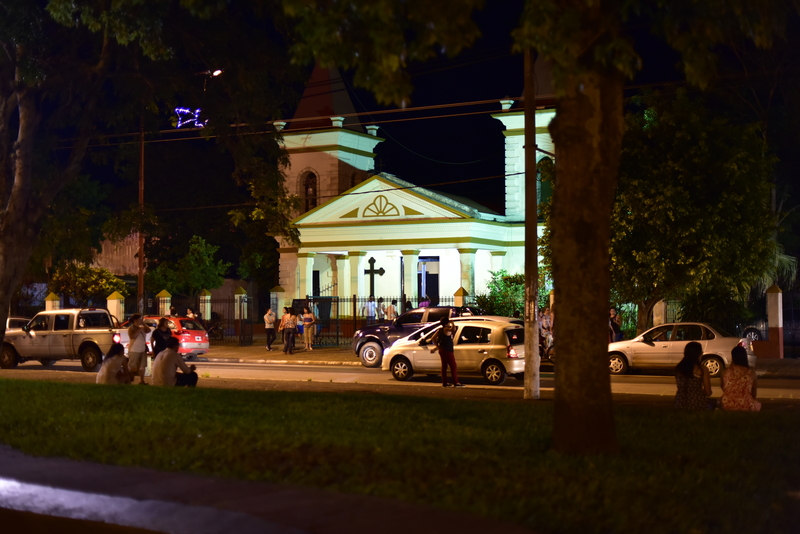 It’s the end of the summer tourist season here in Ituzaingo. The kids are back in school and the tourists have all gone home. The locals still spend their time on the beach on the weekends–but the town has definitely shifted gears. I started going to my local spinning class again this week–the gym shuts down entirely for December, January and February since it’s just too darn hot to work out in an un-air conditioned space. 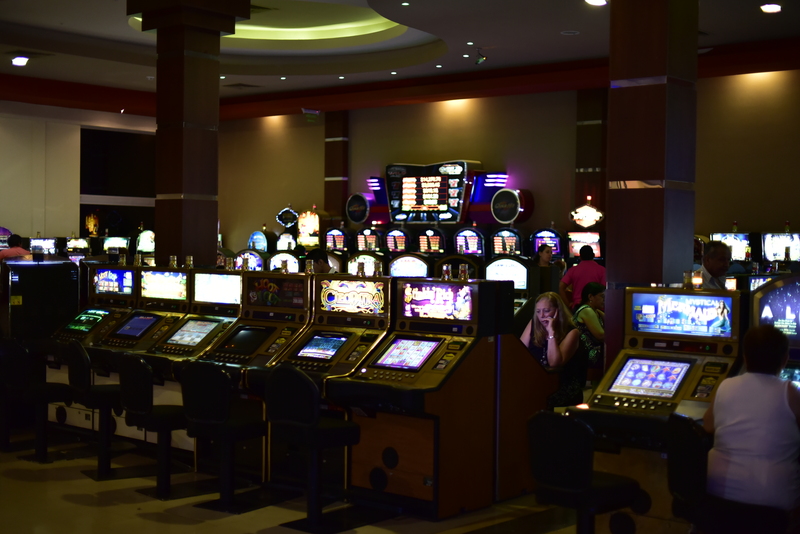 Although it feels good to get back to “normal,” it is a bit of a letdown after all of the excitement that tourist season brings. T got a fancy new camera for Christmas, so we’ve been enjoying walking around town and getting some interesting shots. 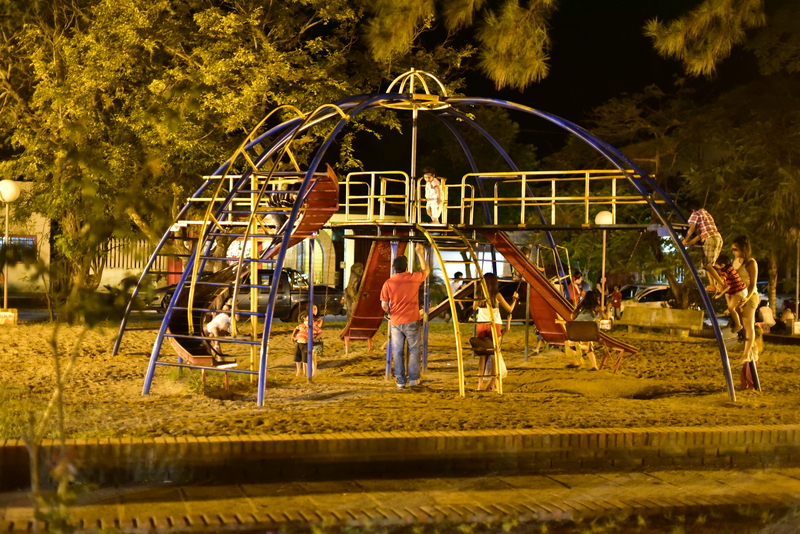 Here are some from the end of summer here in Ituzaingo.